Light like a pro. If you want to accentuate an architectural element, such as a façade on your home’s exterior or another element shown on your house, use upward-facing lighting. To create a cozy atmosphere for entertaining, add downward-facing lanterns, bulb lights and other outdoor lighting options. You might even choose to scatter softly glowing LED lights in the shape of stones around your patio area and into a garden. Don’t shun color. Using bright colors sparingly indoors is wise; a brash color can easily overwhelm a limited indoor space. 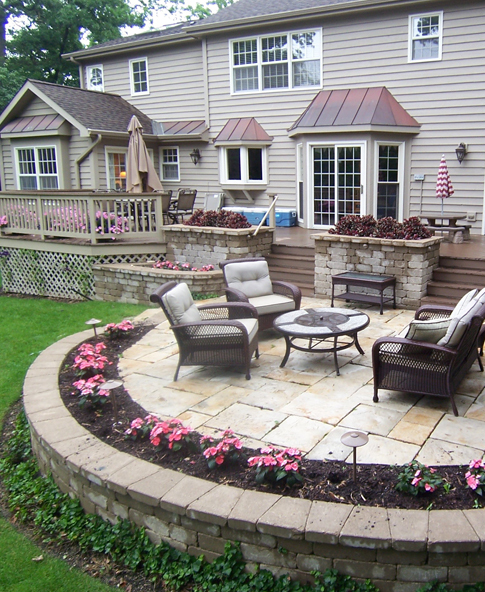 However, outdoor settings can handle more color without feeling cramped. 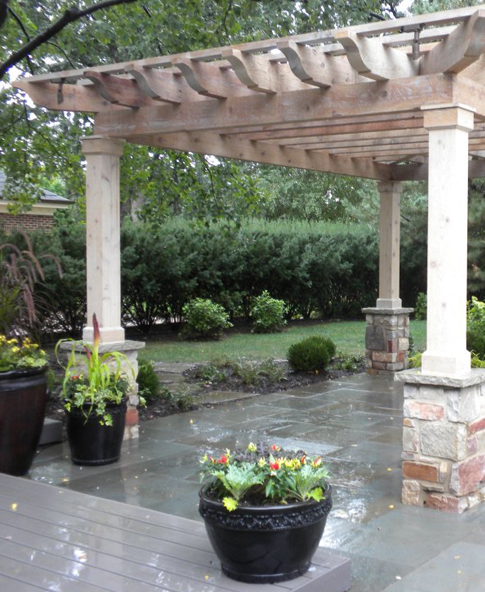 Choose turquoise, mango, lime or some other bright, cheerful color that speaks to you in your patio stone choices; a few accents in this stone will brighten your outdoor space. Add fire and water. 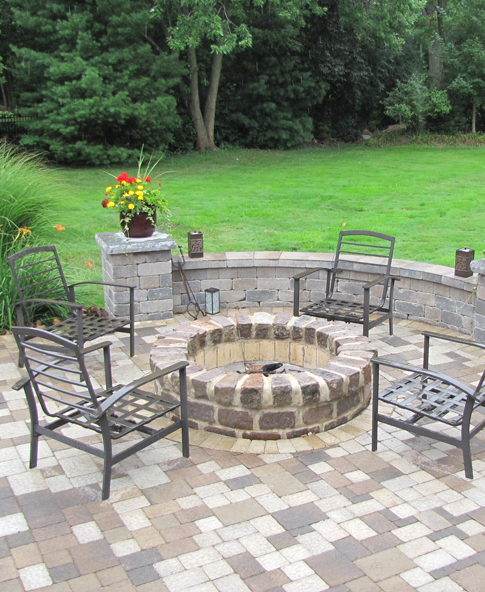 In mild climates, a year-round fountain will create serenity, while a fireplace will draw guests to its cozy glow. Design according to use. When designing your new living space, it is important for you to have an idea of what you like to do for fun, as well as a vision for the space. 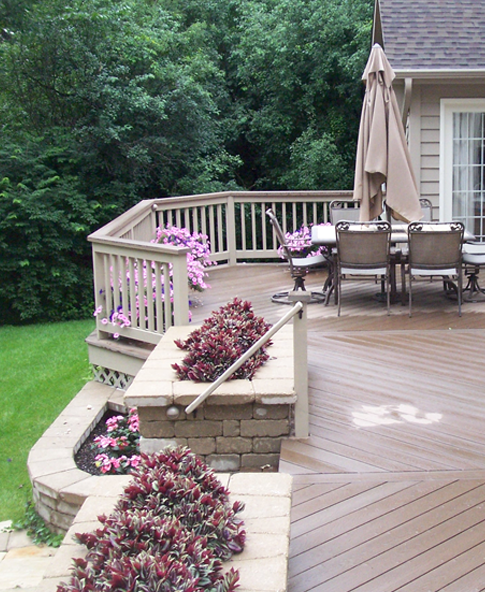 If you’re a gourmet chef, a four-season covered deck with a built-in BBQ grilling station, would be a great addition. This new addition allows it keeps the space cozy in the winter, but fresh and breezy during the warm summer temperatures. Schedule a FREE, no-obligation consultation with Dino today at 630-654-8400.